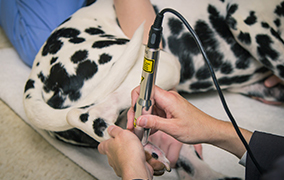 We are pleased to offer laser therapy to assist our patients in helping to treat their pain. Laser therapy uses pockets of laser energy to speed up the regeneration of cells which can help in relieving pain on a cellular level. 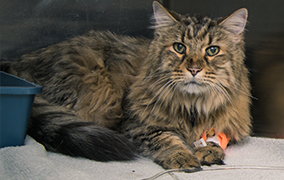 Sometimes your pet may find themselves in need of round-the-clock care by veterinary staff. All medicines, fluids, pressures and pain levels are closely monitored and maintained by our qualified staff at Alford Avenue Veterinary Hospital. 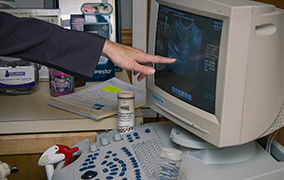 Radiography and ultrasound are an integral part of today's veterinary practice and we use this technology to diagnose broken bones, organ enlargement, foreign object identification and even guidance during surgical procedures. 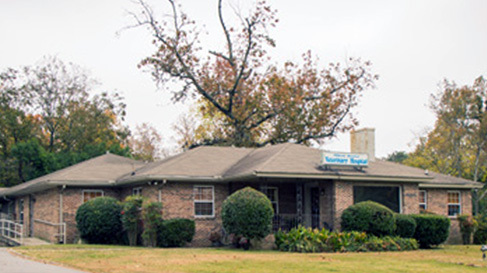 Founded in 1981, Dr. David Friddle and his team at Alford Avenue Veterinary Hospital have been bringing quality veterinary care to Birmingham, Alabama and the surrounding area. Our veterinary practice is dedicated to giving your animals compassion and tender care for the life of your pet. Our caring and highly-trained staff is here to give your pets the treatment they need. Our doctors excel in specialty services such as laser therapy, avian and exotic care, reproductive services, intensive care, dental services and digital dental radiography along with all the daily care your pets need to keep them happy and healthy. 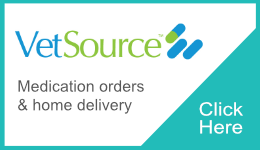 Stop by, give us a call, or contact us to see what we can do for you and your fluffy family.